I rented a house, which was located up in the mountains. I didn’t have a girlfriend then, so I spent lots of time studying various pieces of art anatomy and reading master sculptors’ catalogues to pass this energetic but boring period of my life. I still remember one afternoon when I didn’t have class. I woke up from a nap and stared at the sunny wall outside the window. There were a few books scattered on the floor, including New Concept English and Herbert Reed’s Modern Sculpture History. Because I didn’t know what to do after I woke up, I’d been lying there until dark. At that moment, I felt that the days were long and distracting. Graduation was like a station that was thousands of kilometres away, and I had to get there barefoot. That year, Rodin’s exhibition was shown for the first time at the National Art Museum of China. Several classmates bought a few standing tickets and squeezed on the train. After two days and two nights, we arrived in Beijing. We didn’t eat, just went straight to the museum and spent a whole day looking at those sculptures like pilgrims. Now, in addition to the bronze statues with the black skulls whose pupils are deep and bottomless, the biggest surprise was to meet the movie star Lu Liping. He was looking up and down the front of the sculpture with a thoughtful expression, eyes slightly open. But still beautiful. 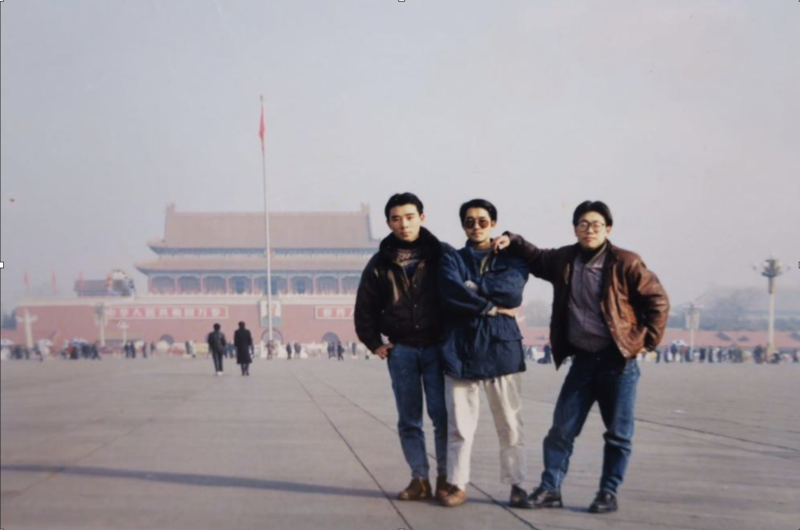 Another strong memory, apart from seeing Lu Liping, was being hungry. We had not eaten for a day, and we had to resist strongly not to have any of the street snacks. Instead, we were determined to go to Wangfujing Street to eat a burger and chips from the first McDonald’s to open in China. On that night, our dream fulfilled, we lay in bed contented in a basement and took out the seasoning bags with English writing all over them that we had snuck back from KFC. While reflecting, it came to mind that Rodin’s sculptures seemed to be different from ours. There were no block faces, but many details. However, a master’s works must be good sculptures. Were we doing it wrong? We tore open the seasoning bags and a substance flowed out like blood and, tasted with a tongue, it was sweet! It turned out to be ketchup! We were as happy as if we had won some money. In the early spring of March, we took off all our clothes because we could not stand the heat in the North. If I would come to Beijing again in this life, I vowed I must live in a room with windows. 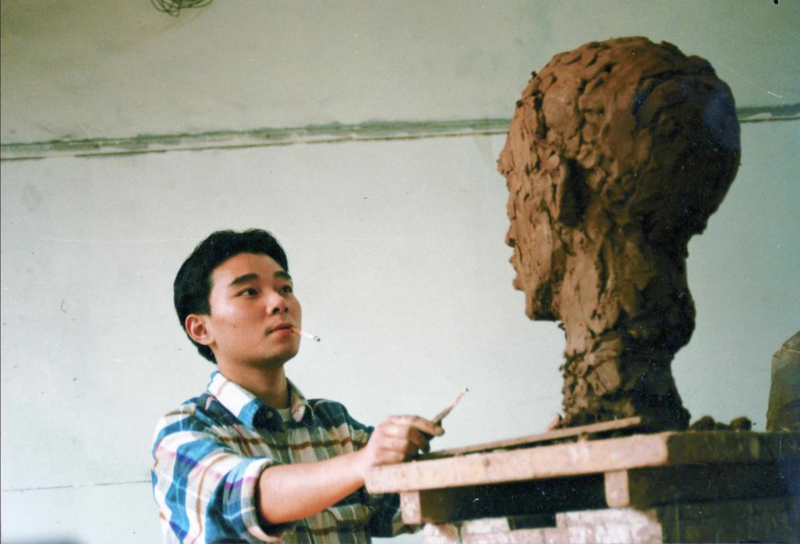 One of the classmates muttered thoughtfully, “Why do our sculptures have to be square?” Now, twenty years later, the person who questioned this is the vice president of an art school in Chengdu.